Wow! Are we in the middle of war actions? The sky is full of Planes dropping something right on your head. Oh, this is GOLD! 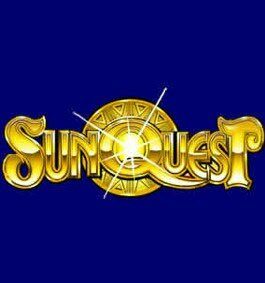 Even such machines as Tanks, Ships and Service Caps can lead to cash winnings only, when you are in the Microgaming world. Moreover, the actions can also be developed in the no download way, just make the choice. So, now we plunge into the 5 reel adventure. No one knows what will happen next, even the main hero of Major Millions 5-Reel Slot Machine. The smiling man with the kind face is waving to you, promising that no matter what, you will still get out with large benefits. And he is right! The 15 line experience will make a difference for sure. Hey, the Major is eager to see you next to him. That is why, the man does everything to allure you. Offering the fixed coin value of $0.20, the captain takes care of your bet not to get bigger than $3 for each spin. Pretty nice for the slot with the progressive jackpot, huh? No more hard decisions and constant selections, everything is ready for you to play. Don’t you want to grab the loot? 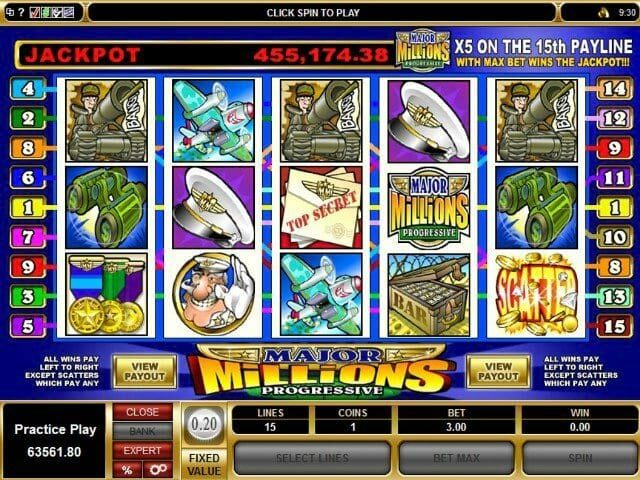 Major Millions Logo is your key to the highest scoop, that is why, grabbing the top jackpot won’t be so hard. Just watch out to see 5 Logos making a winning combo and 8,000 coins will be rewarded immediately. Yeah, $1,600 prize is a great deal comparing to the stake. 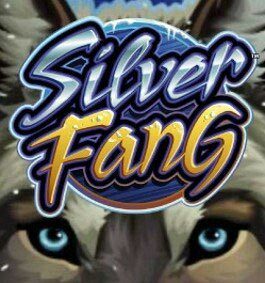 Everything is rather simple in the slot and the icon, which brings you the biggest gain, is the wild symbol as well. Besides substituting for the odd signs and completing the combos, Major Millions Logo also triples all the wins when being a part of them. Have you already similized the game with Cash Splash 5-Reels Slots? Yeah, try this one and derive even more profits. Hey, see the golden pieces shining right on the reel? Yeah, this is the scatter symbol coming to make you richer. Rewarding gains depending on your luck, the Scatter Logo acts wisely and pays anywhere. Make your day and catch up to 5 scatters to multiply your total bet by 3x, 10x and 50x. Wow, $150 is your lucky strike. As we have already seen, the max bet is the obligatory condition for the high gainings. The same thing is about the Progressive Jackpot. Make sure your stake is $3 and keep your eye on the 15th line. Once the payline gets covered with 5 Major Millions Logos, you are automatically awarded with the scoop. Make fortune your right hand and take advantages of your lucky position. Get to be friends with the kind captain and follow him in this adventurous trip on the go, yep, you can use mobile format to play the game. 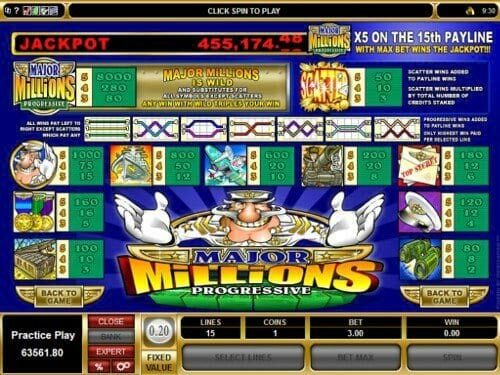 Colorful icons combined with multipliers and the progressive jackpot make Major Millions 5-Reel Slot Machine your favorite entertainer. 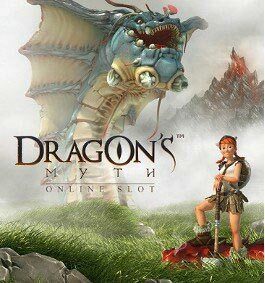 Nothing odd like bonuses or free spins will divert your attention from the main thing. Load the slot and aim at the highest prize.